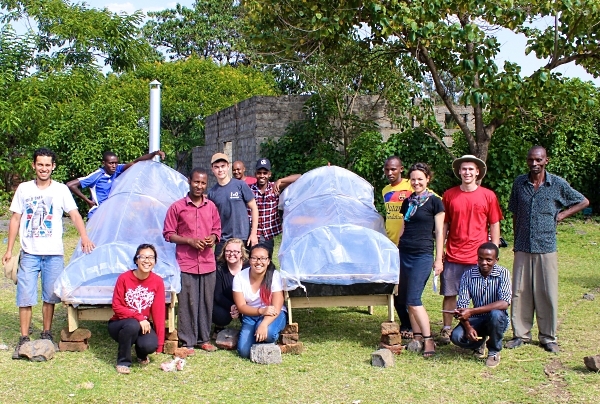 The team of students of Massachusetts Institute of Technology, VOCA, and MIT D-Lab researchers are using the CDR FoodLab® Junior for oils and fats in the project to develop a feasible, low-cost method of avocado oil production in Tanzania. Voca is a team of Massachusetts Institute of Technology (MIT) students and MIT D-Lab researchers who have been working in partnership with local innovators, entrepreneurs, and farmers in and around Arusha, Tanzania to develop a locally feasible, low-cost method of avocado oil production. The team started this work in 2014 through a project-based class offered at the MIT D-Lab, which brought them to Tanzania and exposed them to the challenge and opportunity facing Leguruki, a community near Arusha. In this community, avocados are abundant but often go to waste due to lack of cold storage, proper handling and transport, and a weak market for this crop. However, avocados can be transformed into a highly nutritious, high smoke-point oil which can compete with premium cooking oils, such as olive oil, as well as premium body care oils such as argan and moringa oil. These oils have a longer shelf life than raw avocados, and strong demand both locally and in regional and global markets. If farmers in Leguruki can transform their excess avocados into avocado oil, they can generate additional income and produce a valuable product from a resource which is currently going to waste, while supplying local markets with a quality product for cooking and cosmetic use. Most commercially-available avocado oil on the global market is currently produced using a multi-step process of centrifugation, which requires machines that cost thousands of dollars, putting them out of reach for farmers and entrepreneurs in Leguruki. The challenge which the Voca team has been working to tackle over the past three years is to develop a method of producing avocado oil which can be implemented consistently and affordably in local conditions without sacrificing the quality of the final product. After experimenting with a variety of processing techniques, the students and their community partners have identified a method which is promising, but in order for this method to produce high-quality oil additional work needs to be done to reduce oxidation during the various phases of oil extraction. The Voca team has been experimenting this semester with immersing the avocado in various osmothic solutions prior to extracting, in order to improve the quality of the final product. In order to compare the results obtained from use of these different solutions, the team is using a CDR FoodLab® Junior machine, which allows them to compare the p-anisidine value, peroxide value, and free fatty acids present in the oil which has been extracted using various methods. CDR FoodLab® helps MIT students in research on avocado oil production was last modified: June 5th, 2017 by CDR s.r.l.